COCA has a new look! 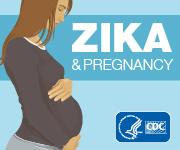 We invite you to familiarize yourself with COCA’s new banners and encourage you to email us at coca@cdc.gov with questions, comments, and feedback on how we can better prepare clinicians to respond to emerging health threats. COCA Digest: Much like the former COCA Update, this monthly email will contain new CDC and COCA resources for clinicians from the past month and additional information important for clinicians during public health emergencies and disasters. COCA Now: Designed to be timely and concise, the COCA Now email message will inform clinicians of new CDC resources and guidance related to emergency preparedness and response. COCA Now emails will be sent as soon as possible after CDC publishes new content, ensuring clinicians are kept up to date. Along with the COCA Digest, this email message replaces the COCA Update. Clinical Action: This message focuses on specific actions that clinicians should take. Some Clinical Action email messages may ask that clinicians take immediate action while others reemphasize why clinicians should continue to follow CDC guidance in their practice. These emails contain comprehensive CDC guidance so that clinicians can easily follow actions recommended by the Clinical Action message. This email message was formerly called Clinical Reminder. COCA Learn: Formerly the COCA Training and Conference Announcement, this email message will be sent the first Friday of each month. Each COCA Learn email contains information on CDC training opportunities, conference and training resources on the COCA website, and the COCA Partner Spotlight. In addition, new features that will be appearing in COCA learn are the “Clinician Corner,” featuring a CDC clinician or COCA Call presenter, and a “test your knowledge” quiz where clinicians can see if they have a good grasp on current CDC recommendations and guidance. COCA Call: This message is sent out to announce COCA Calls and contains all information subscribers will need to participate in a COCA Call. Watch for these emails and make sure to mark your calendar to attend this year’s exciting COCA Calls! Thank you for supporting COCA! Be sure to encourage your colleagues to subscribe to COCA emails to keep up with COCA’s exciting changes!